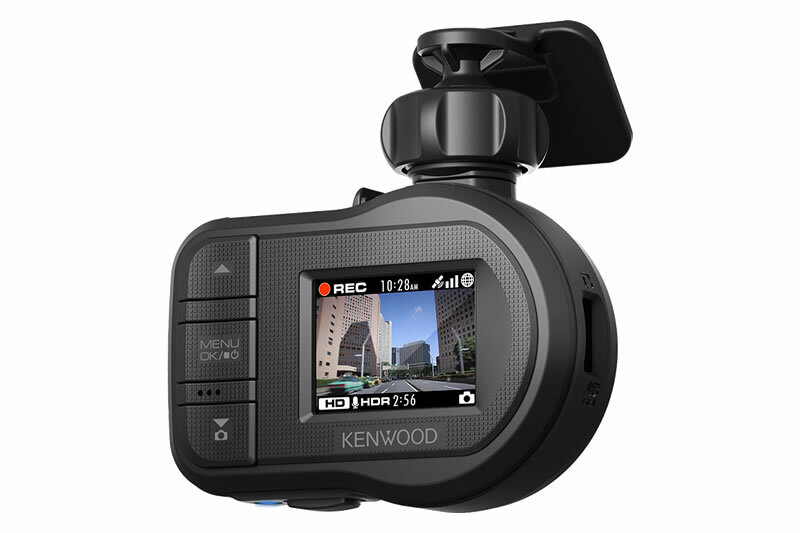 Full HD video recording is available in a compact design to document any occurrence or disturbance you may come across while driving your vehicle. With HDR (High Dynamic Range) technology, it can record video at dark and bright locations, without underexposing or overexposing the image. A gyro sensor will automatically detect when there is an event and separate a portion of memory within the 8GB SD card for viewing. Additional safety and warning features will detect and alert you of a possible forward collision or as lane departure begins to occur. 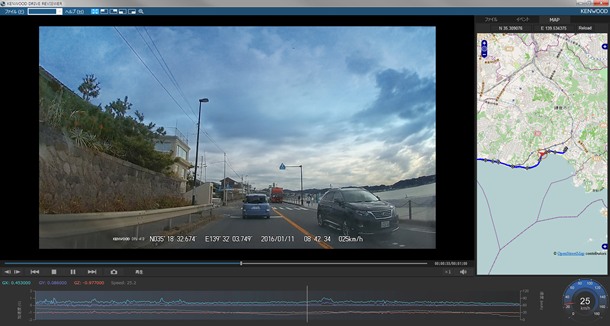 Record high-resolution smooth videos at Full HD (1920 x 1080) while keeping the file size small with H.264 technology. Check your location wherever you go. The built-in, highly sensitive GPS receiver automatically records driving information in the video such as speed, altitude, longitude, latitude & heading. 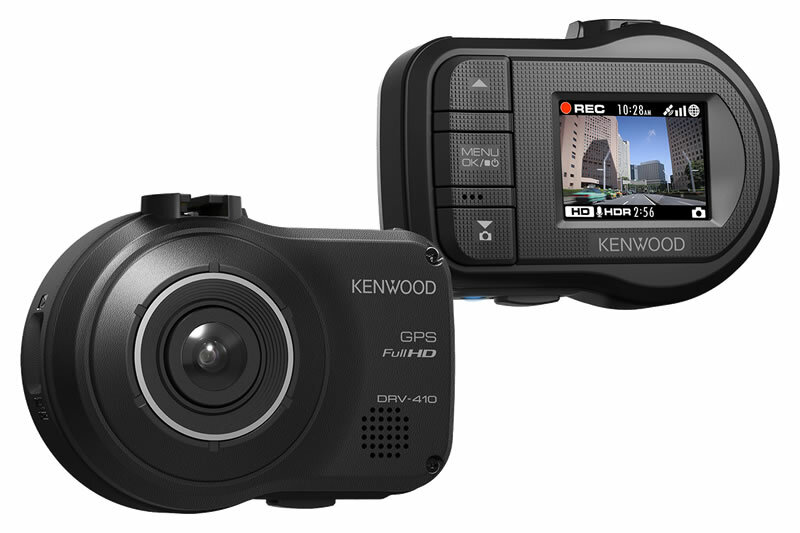 Display your location on Google Maps™ with a link to web when you play the video on “KENWOOD DRIVE REVIEW".